Graduate! Philadelphia Comebacker Desiree Neal is a Philadelphia native who grew up in a family of singers and entertainers, and was destined to be a star in her own right. Some may know her by her on-air personality, “Dezzie” at Praise 103.9FM. Desiree is approaching her second year returning to college, has maintained a 3.45 GPA, and plans to graduate in May of 2015. This tale consists of two parts: Desiree Neal, a Graduate! Philadelphia Comebacker, and “Dezzie” the 103.9FM Inspiration Station radio personality. 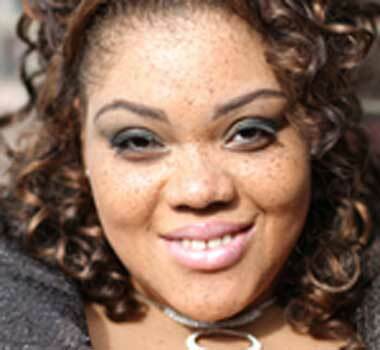 Desiree first attended college at Delaware State University. It was a great experience, but she admits to being “side-tracked by her love of cosmetology.” It wasn’t until her mother became very ill that she left college. She could not care for her mother and effectively manage her studies. At that point, Desiree decided to drop out of college. Her first experience – like so many other adults who stop out – was not due to lack of talent or ambition, but split focus and unexpected life events. What Desiree didn’t realize until much later as an adult trying to return to school, was that her GPA had been a 3.89. This was a real blow, because being informed about her academic status may have given her the determination to persevere. When her mother recovered, Desiree decided to capitalize on the cosmetology skills that kept her afloat at Delaware State. She enrolled in Berean Institute believing that this would help her to harness her passion. After that, she explored the mortgage industry and decided to put cosmetology school to the side. Her success in mortgage lending kept her interest until she dealt with reduced commission and the onset of predatory lending practices. Dezzie’s disapproval with the mortgage industry allowed her to find “the fire that never went out.” She obtained a position working as an HIV/AIDS Activist and later for Philabundance. Dezzie ’s career as an amateur singer changed to an artist after being discovered at a Christian Cafe Open Mic. From there she recorded her two projects Here I Am, which tackled youth issues and Dying Daily… A Journey Through Spiritual Growth. She shies away from the holier-than-thou image people usually conjure when they think of a minister. To date, she has graced the same stages as many respected gospel perfomers including Gabriel Hardeman, Tye Tribbett and Greater Anointing, Hezekiah Walker, Shirley Caesar, and Mary Mary. She has even worked alongside well respected radio personalities such as Ed Long (WDAS) and Don Juan Banks (Power 99 FM) and has also contributed to projects ranging from stage play soundtracks, hosting, and city-wide events including Penn’s Landing Summer Concert Series, Unity Day and United States Conference on AIDS. Through it all, she has remained humble and steadfast. Graduate! Philadelphia thanks Dezzie for sharing her story and continuing to be a model of inspiration in all aspects of her life.